Oddball Films presents Tunes and Toons: Animated Adventures in Musicland, a night of charming, ridiculous, stunning, and vibrant animation from the 30s through the 80s - all about making beautiful music and all on 16mm film from the archive. From the classic to the crazy with cartoon orchestras, beatniks, hippies, dancing rutabagas, Gumby, Bugs Bunny and more, it's going to be an eye-popping and knee-tapping night. Di$ney's Symposium on Popular Songs (1962) takes you through the first half of the 20th century of popular music through a mixture of cell-animation, stop-motion and paper cutouts, in gorgeous color (try not to lose your head when rutabagas start dancing!). A banjo-strumming Bugs Bunny gets back at an obtrusive opera singer in the Chuck Jones classic Long-Haired Hare (1949). Oscar-winner Ernie Pintoff brings us the hairy tale of Harry, a man willing to suffer (and stink) for his music in The Violinist (1959) with the voice talent of Carl Reiner. One orchestra is full of dogs, pigs, donkeys, and one grumpy conductor in Friz Freleng's The Mad Maestro (1939). Halas and Bachelor studios brings us Hoffnung's Music Academy (1965) featuring the strangest music school you've ever seen with yo yo violins, bicycle-wheel harps and pool playing pianos. 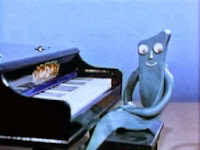 Gumby gets into a surreal battle of wits with a shape-shifting piano in the zippy Gumby Concerto (1957). 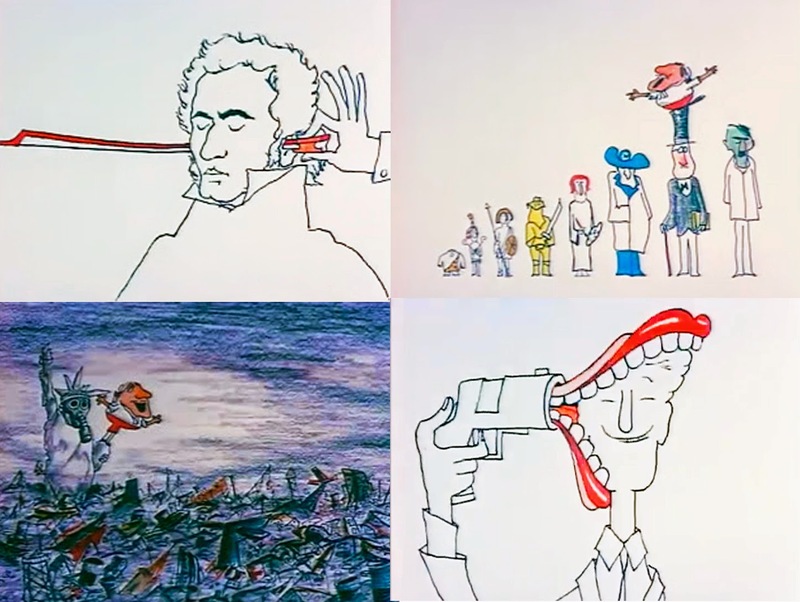 The brilliant Italian animator Bruno Bozzetto gives us a sexual, political and absurd revue of Opera (1973). From Sofia Films in Bulgaria comes Caw! (1982), a quirky tale of birds, music and (dis)harmony. Plus, a beatnik teases a Calypso Singer (1966), Will "California Raisins" Vinton directs the psychedelic claymation rock concert, Mountain Music (1975), the dazzling Blame it on the Samba (1948) and a surprise pre-show! Whether you're a musician, an animation enthusiast, or just in need of a bit of fun, Oddball's got the tune for you. Special cartoon featurette made by D*sney features songs written by the Sherman Brothers with music arrangements by Tutti Camarata. 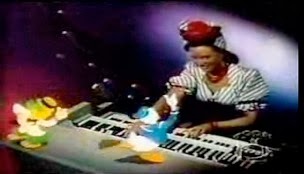 Ludwig Von Drake invites the audience into his mansion where he tells all about popular music through the years, introducing several songs illustrated with great stop-motion animation. Nominated for an Academy Award as Best Cartoon Short Subject. From Halas and Bachelor studios and the hilarious mind of Gerald Hoffnung. The students of this academy are getting more than training in music with classes on fishing with violin bows, billiards on top of a baby grand, playing the harp on a penny-farthing bicycle and more ludicrous subjects. A cheeky tale of suffering for art from Academy Award-winning animator Ernest Pintoff featuring the voices of comedy legend Carl Reiner. Harry is a man who loves to play the violin, chase birds and hang out with dogs. His music isn't very good, so he decides he must suffer for his musical art. After giving up dogs, birds, food and bathing, Harry's music has never sounded better, but "boy is he ugly". The brilliant Bruno Bozzetto (Allegro Non Troppo) takes Opera to the most insane, surreal, political, and hilarious place you could ever imagine. Morbid and sexual with rips on fascism, sexism, racism and pollution, this over-the-top survey of opera features some of the most eye-popping imagery in animation history including the Statue of Liberty wearing a gas mask and Hitler with a new-wave hair cut! Safety glasses are recommended to keep your eyeballs in your skull! This dog-conductor is having a bad day. His all-animal orchestra is full of lazy dogs, fat pigs, jack-asses and a bunch of other scruffy neerdowells. Will he ever get to make beautiful music, or will the whole performance end with a bang? Full of great site-gags and ridiculous set-ups, this MGM classic was directed by Friz Freleng and Hugh Harman. 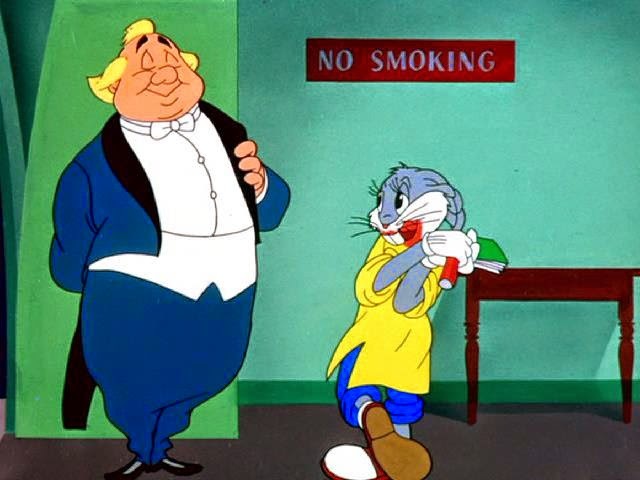 A Chuck Jones/Bugs Bunny masterpiece of musical fun. Bugs is having a fine old time strumming his banjo and singing on a hill when he hears an opera singer rehearsing for a show. Not to be outdone, Bugs is determined to make his the only music to be heard and even dresses as a teenaged fan and an orchestra conductor to mess with the baritone. Paul Glickman’s animated version of legendary hipster Stan Freberg's parody of Harry Belafonte's top ten hit “Day-O” (The Banana Boat Song). Here a beatnik bongo player berates a Calypso singer for his high decibel delivery. Freeberg was famous for his early rock and roll parodies and went on to win over 20 Clio awards in the field of advertising for his wacky takes on pop culture. Hilariously weird Oddball audience favorite. 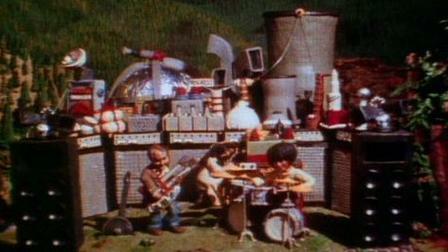 Truly bizarre claymation hippie music concert out in the sticks from Will "California Raisins" Vinton, the legendary creator of claymation. A pastoral nature scene slowly gives way to heavy rock freakout, with volcanic results! A surreal stop-motion masterpiece! 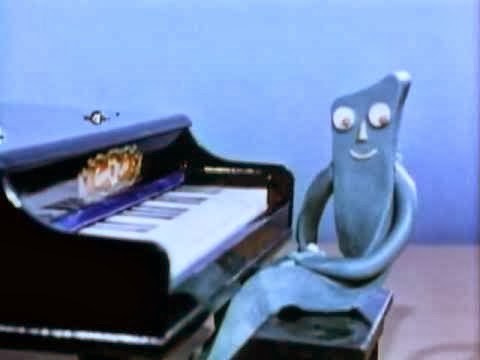 Art Clokey's little green buddy must deal with doppelgangers, multiplying pianos and other bizarre shenanigans to entertain a pair of anthropomorphic musical notes that look like they were made out of hard-boiled eggs. 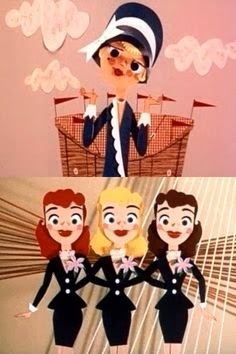 An unforgettable and mesmerizing Technicolor film mix of live action and animation featuring Ethel Smith, the Dinning Sisters and a dizzying array of animated characters. Produced by Walt D*sney. A hilarious and simple tale of a persistent interloper – a crow -- who insists on joining a choral group. Kat Shuchter is a graduate of UC Berkeley in Film Studies. She is a filmmaker, artist and esoteric film hoarder. She has helped program shows at the PFA, The Nuart and Cinefamily at the Silent Movie Theater and was crowned “Found Footage Queen” of Los Angeles, 2009. She has programmed over 200 shows at Oddball on everything from puberty primers to experimental animation.